It’s hard to keep up once the Fortnight is under way so here’s a catch up for you including two hops of the week, Fuggles and Challenger, and a quick look at some upcoming Kent Green Hop Beer events. Hop of the week 1: Fuggle. This traditional British hop has been around since the 1860s but it would take almost a decade and a half before it was grown commercially when it was introduced by Richard Fuggle, the man who gave the hop its name. Used as an aroma hop (which means it is added late on in the brew as a finishing rather than bittering hop) it’s said to have an earthy, grassy and even minty character. 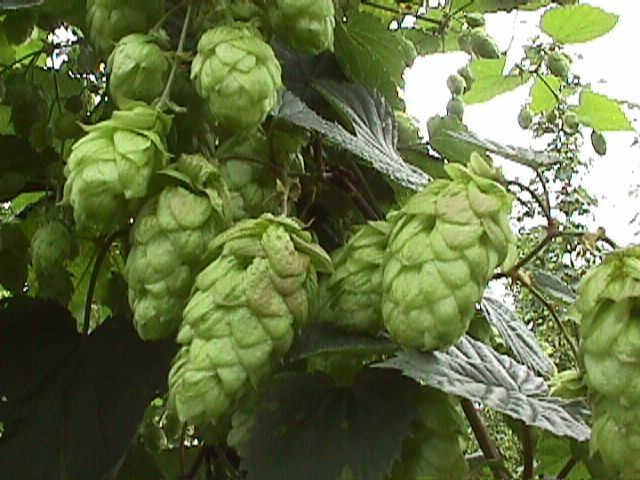 You’ll often find this hop, along with Goldings, in traditional British bitter or darker beers. Although tolerant to ‘downy mildew’ which is one of hops’ enemies, Fuggles are sadly susceptible to wilt and a particularly nasty kind, Verticillium Wilt was responsible for devastating Fuggle crops in Britain and elsewhere in Europe. Work is ongoing to find disease resistant variant of the variety. At least two other hop varieties owe their existence to Fuggles. The US variety ‘Willamette’ is descended from Fuggle; and Styrian Goldings, from Slovenia, aren’t Goldings at all but are identical to the original Fuggle! ● Bexley Brewery, Musket Brewery and Wantsum have made Kent Green Hop Beers with Fuggles this year. Hop of the week 2: Challenger. Wye College – historical home of British hop development as mentioned in a previous hop of the week post – is responsible for Challenger. It was developed by Dr Ray Neve and became a commercial hop in 1972. Beer lovers quite naturally are most interested in how hops taste in a brew, but the reason so much work goes on behind the scenes with hops has a lot to do with creating varieties that are resistant to disease. 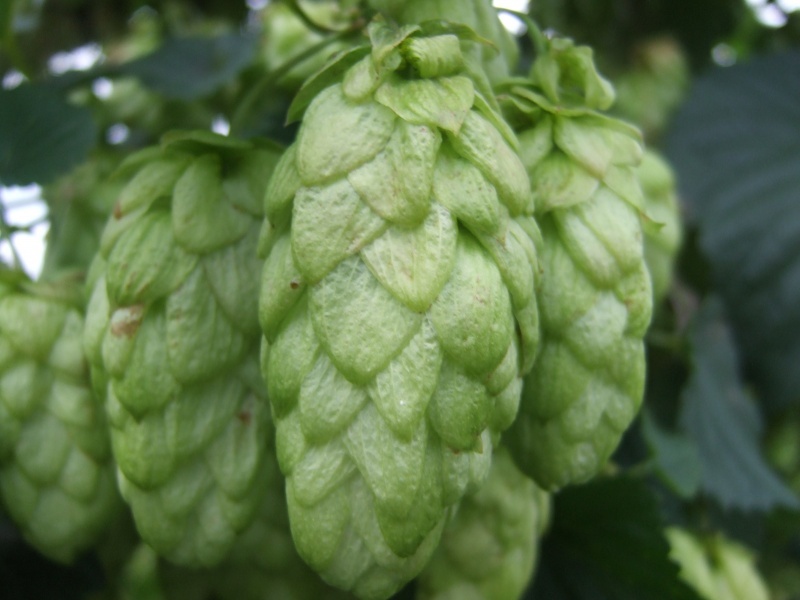 If a hop can keep pests and disease at bay it’s good news for growers who depend on crops for their livelihoods and brewers who want to maintain recipes for successful beers. Challenger was bred to be disease resistant and have a high alpha acid content – which makes it a good bittering hop – and became a hit with big regional brewers like Shepherd Neame and Greene King. It’s said to provide a rounded bitterness and also to offer a fruity, earthy character. Hop merchants describe it as offering spicy, cedar and green tea flavours. It tends to ripen late in the season but this year Whitstable Brewery, Old Dairy Brewery and Wantsum told us they’d be making Kent Green Hop Beer featuring Challenger. 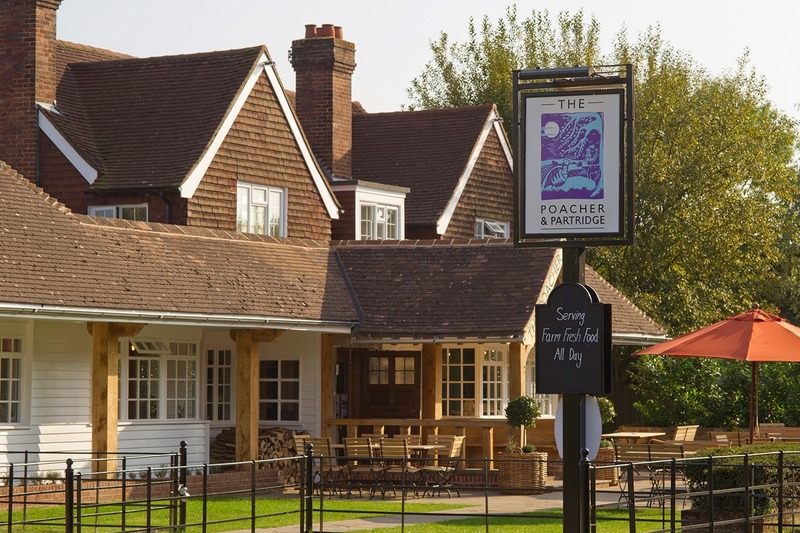 This weekend (Fri 2nd – Sun 4th Oct) is the first West Kent Green Hop Beer Festival, which is being held at The Poacher and Partridge pub, Tudeley near Tonbridge. There should be more than 1o Kent Green Hop Beers on offer here as well as music, food and craft stalls. Broadstairs Food Festival is also on this weekend 2-4th Oct and should have Kent Green Hop Beer. Next week hop along (groan!) to Fuggles Beer Cafe, Tunbridge Wells for a meet the green hop brewer and grower tap takeover event featuring Tonbridge Brewery, Pig & Porter, Caveman Brewery and Shepherd Neame. When? Tuesday 6th Oct from 7pm – email hello@fugglesbeercafe.co.uk to reserve a place. Thanks to Charles Faram Hop Merchants for the images of Fuggles and Challenger.